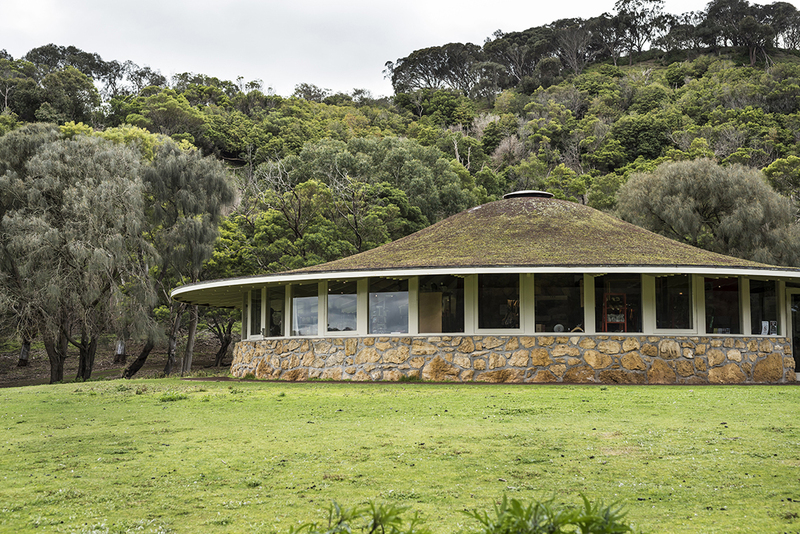 Join Parks Victoria for a twilight tour and presentation at the Tower Hill Visitor Centre, to hear about renowned architect Robin Boyd’s design, and to learn about Victoria’s first official national park – including its remarkable geology, abundant flora and fauna, and Aboriginal cultural heritage. This event will begin with a 1.5 hour guided walking tour exploring the magnificent landscape of the larger Tower Hill Wildlife Reserve, which was created by a series of volcanic eruptions and events over thousands of years. Visitors will have the opportunity to get up close and personal with the abundant native wildlife, and learn about the natural, cultural, and historic heritage of this unique place. Following the tour, enjoy a special opportunity to hear from experts about Robin Boyd’s design of the Tower Hill Visitor Centre building, and the work of this influential architect. This event is presented in partnership with Worn Gundidj Aboriginal Cooperative, and the Robin Boyd Foundation as part of the 2019 Robin Boyd Centenary of Design program which marks the centenary of Boyd’s birth and celebrates his life, work, and legacy.